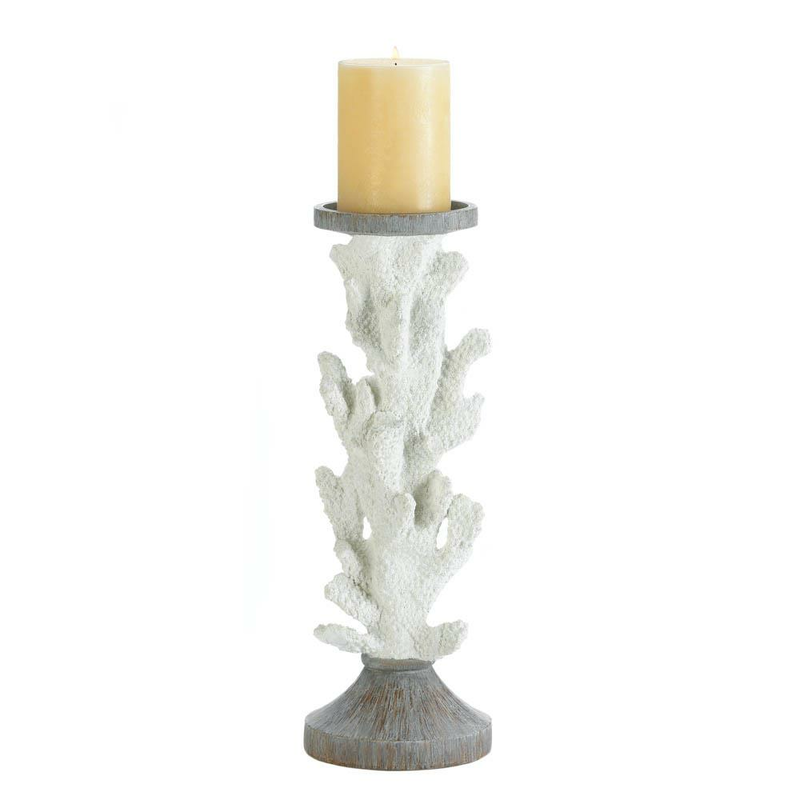 Let the ocean's beauty revel in candlelight! 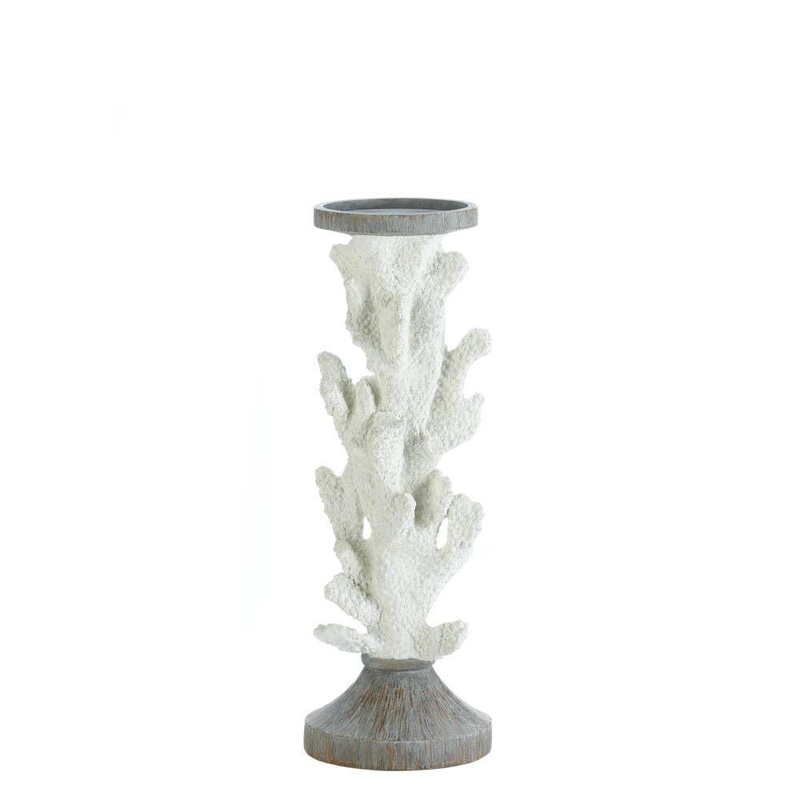 This fantastic candle stand is more than 14 inches tall and features a beautiful coral branch design. The top platform is the perfect resting place for your favorite candle. Weight 2 pounds. 5" x 5" x 14.2". Polyresin. 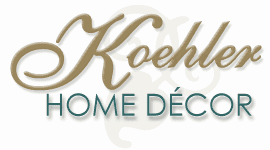 UPC Number: 849179029852.